Furnish your home in style with this exciting contemporary collection. A sectional provides a family-friendly alternative to the traditional sofa and loveseat combination. The chaise lounge provides extra seating and comfort for lounging. 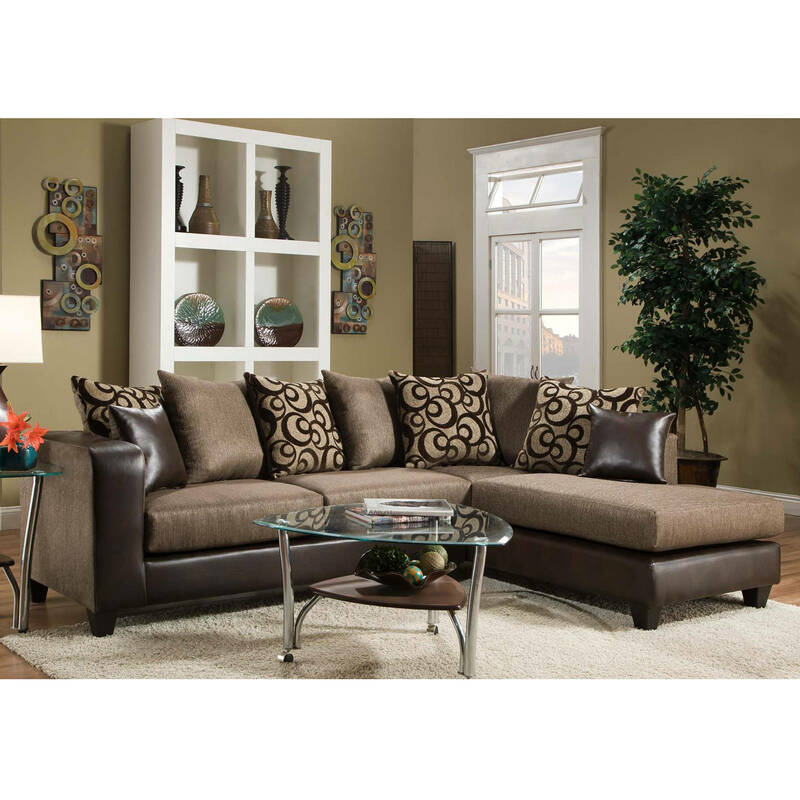 This sectional features soft chenille upholstery and decorative toss pillows that adds comfort. The brown tones arranged throughout this collection will add warmth to your home. 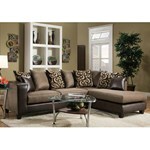 This furniture is set apart with the use of two different upholstery types to make up the frame and seating area. The modern design of this collection is sure to awaken the decor in your living room or sitting room. Included : Left Facing Sofa and Right Facing Chaise.